The Pentek 150111 hot water housing is ideal for a wide range of industrial applications. The Pentek 150111 is an excellent alternative to stainless and carbon steel vessels. Durable fiberglass-reinforced nylon construction. The Pentek 150111 3/4-inch NPT housings can withstand temperatures up to 160F (71.1C). Excellent chemical compatibility makes the High Temperature housing an ideal choice for a wide variety of industrial applications including those involving organic solvents, sea water, alcohol, petroleum and vegetable oils. 3/4-inch inlet/outlet for easy installation. NOTE: High Temp Housings should not be used with ketones. 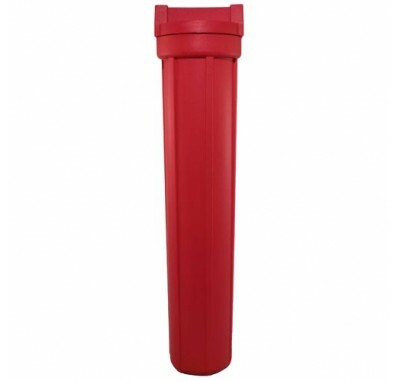 Protect against freezing to prevent cracking of the filter and water leakage. Drinking water filters produce healthier, better-tasting drinking water. Choose from one of our carbon drinking water filters designed for higher water temperatures at the High Temperature Housing page.